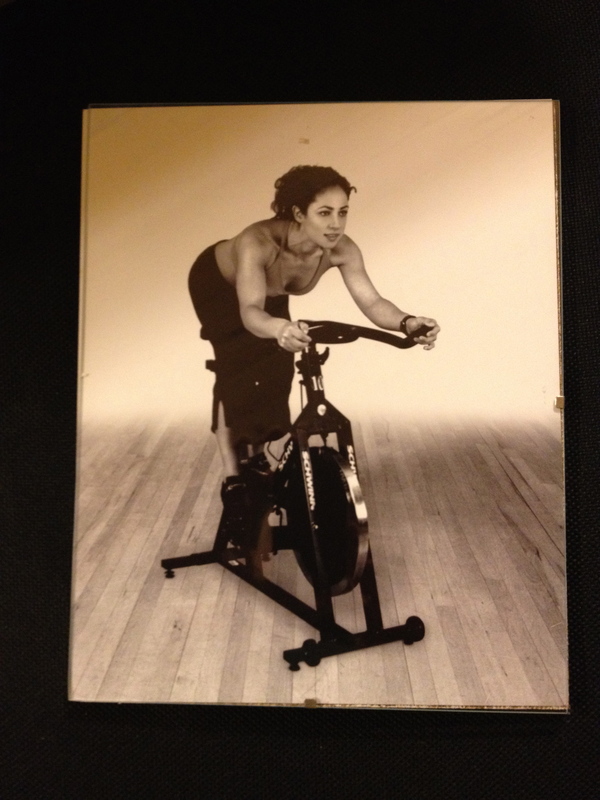 As a spin instructor I have a confession to make… I don’t ride except when I am teaching. It had been at least five years when I had walked in to Quad East on Thursday to take a class. I was greeted by Micheline who is not only an instructor but one of the owner of the three Quad locations. She gave me a tour of one of the most stunning studios I have worked out in! (Check out a slideshow of the Quad East space) Class was preceded by a little pilates led by Micheline upstairs before we headed down to the cycling studio for our ride. Micheline knows her stuff and loves what she does… and I know this because I know my stuff! Our 45 minute class had me sweating, breathing heavy and thinking I might see my lunch again! Making it all worth it was the 900 calories I likely burnt in those 45 minutes and the feeling of work so intense that my quads are still sore to the touch 3 days later. Maybe that is where they got their name from – SORE QUADS! While I wasn’t sure I was going to like it and during the class I wasn’t sure I was going to survive, I will be back soon for another spin at Quad. Today is my spin anniversary! Way back in the day! It has been so long since I started teaching spin or cycle or all terrain – whatever you call it – that I can’t remember if it is 6 or 7 or 8 years now. Today I taught a 7 am class with a special Valentine’s theme and fondly reminisced about the first class I taught in that room on Valentine’s Day. Back then I had to burn my classes on to a CD and had little note cards that told me what I should be doing for song. Now I have thousands of songs on an iPod Touch and don’t know what I am going to be doing til the moment before I do it. I do love teaching – it is such a high to watch 20+ people all working so hard while the music is going. I hope to be celebrating my 25th anniversary as I grow older and hopefully stronger. If you are a rider or and instructor and have music or drills to recommend please leave a comment!